Fall & Winter Shoes Under $30! 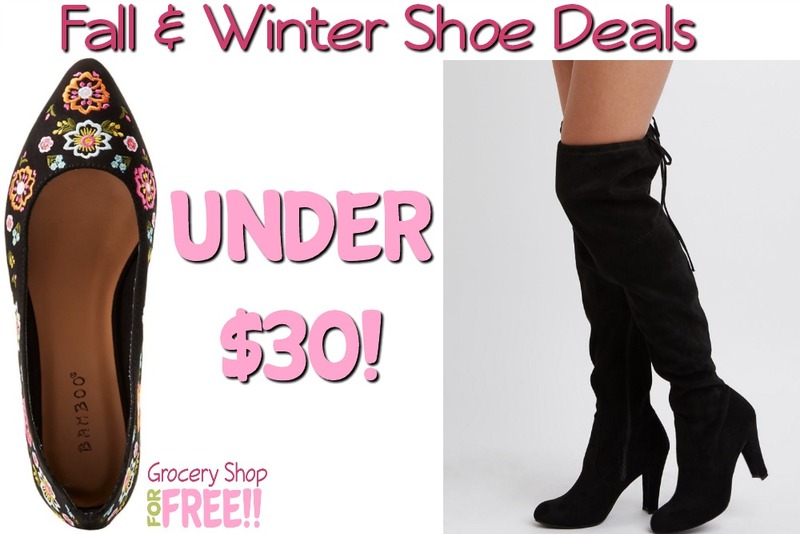 You are here: Home / Great Deals / Fall & Winter Shoes Under $30! Are you needing to update your fall/winter shoe collection? I know we always see and hear all the shoe buying jokes on TV. I have laughed at those “other silly women”, too, but…I have come to realize I LOVE boots and I have more boots than shoes! I have about 3-4 pairs of shoes and probably more than 10 pair of boots! I don’t know why I love them so much, and the more funky the better… can I say funky? Is that still a word? lol I also love coffee mugs – the more they look different – big, fat, huge, oddle shaped – I LOVE them! Ok, back to the shoes! lol Here are some fall/winter shoes you can add to your collection, all for under $30! Not bad!